It’s a simple case of anatomy. As a woman, you require a different focus and treatment strategy than men regarding your urological health. 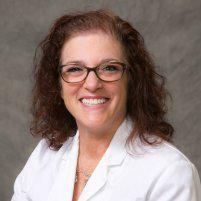 Abbey Gaske, MD, is a board-certified urologist with an office in Torrance, California, who understands that difference. Dr. Gaske treats conditions related to female urology, which may include urinary tract infections (UTIs), urinary incontinence, overactive bladder and pelvic health issues associated with menopause. For a woman-to-woman understanding of your urological issues, call Dr. Gaske’s South Bay office today to schedule your visit, or book your appointment online. Urology is the medical specialty that focuses on the male and female urinary system, including the urethra, bladder, ureters, and kidneys. Urologists also treat the male reproductive system. What makes female urology different? Your anatomy. Women, for instance, have a very short urethra. This is the tiny tube that carries urine away from your bladder and out of your body. It’s about two inches long, compared to eight inches in a male. This gives bacteria easier access to your urinary tract and is one of the reasons women experience more frequent urinary tract infections than men. Other differences include childbirth and hormonal fluctuations, which can affect your urological health by weakening the pelvic floor. The lack of estrogen experienced with menopause affects the elasticity and health of the tissue lining your bladder and urethra. This may lead to painful bladder irritation and increased frequency of UTIs. Why are my pelvic floor muscles important? Your pelvic floor muscles act as a sort of hammock that holds your pelvic organs in place, including your reproductive organs and your urinary bladder. Pregnancy, childbirth, and even excessive coughing may weaken these muscles. This can cause your pelvic organs to prolapse, or drop out of place, which often affects your bladder and urethra and may lead to urinary incontinence. What other women’s health issues are related to female urology? These issues can affect women of all ages, but you don’t have to settle for just living with them. Dr. Gaske can help. What are the treatments for these conditions? Treatments depend on your symptoms and the underlying cause. It begins with a careful exam and detailed discussion with Dr. Gaske about your overall health as well as your urinary complaints. Your treatment plan may include medication, therapy to strengthen your pelvic floor muscles, or other helpful strategies including surgery. Call for an appointment today or schedule your visit with Dr. Gaske online.